The controversial 1986 drama gets a welcome re-release on Blu-ray with added extras and a solid transfer. It is highly unusual that films get released to acclaim four years after they were made, but John McNaughton‘s feature debut is an interesting example of a film that eventually found its audience after initial problems with ratings boards in the US and the UK. In the early 1980s McNaughton worked for Chicago production company MPI ran by Malik and Waleed B. Ali and directed two relatively successful documentaries, which both used public domain footage. When they offered him just over $100,000 to make a horror film with a ‘plenty of blood’ the director hatched an ingenious idea – instead of making a horror with expensive creatures or make-up he decided to make a low-budget, but ultra-realistic film about a serial killer. Opting to shoot guerilla-style in real life locations in the Windy City and based on a real life murderer Henry Lee Lucas, the end result was one of the most resourceful productions of its era and even today makes for disturbing viewing. Depicting the wanderings of Henry (Michael Rooker) and his room-mate Otis (Tom Towles), the story follows them as they murder people at random and film them on videotape, as well as their relationship with Becky (Tracy Arnold) who happens to be Otis’ sister. This might sound like kind of low-rent slasher film, but the clinical, detached way the murders are depicted make it a genuinely unnerving experience, unlike any film of its era. Part of the strength of the film is how it subverts the conventions of movie killings: often in mainstream cinema we are invited to cheer the hero in a morality tale as he dispatches evil villains and faceless henchman whilst not worrying too much about the piles of corpses that litter the screen. This often applies to many genres: western, war film or crime drama. But what about a film that places us firmly inside the very world of a serial killer, focusing relentlessly on a man who murders innocent people? 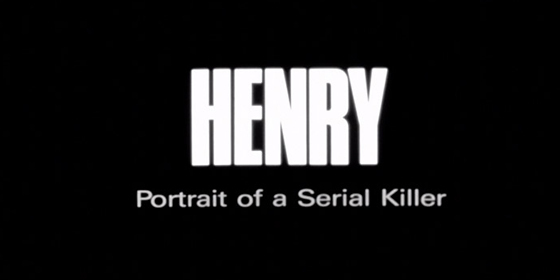 Henry: Portrait of a Serial Killer is just that film. The genre is still blurry – Wikipedia calls it a ‘crime-horror‘, whilst around the release McNaughton described it simply as a ‘character study’. Whatever the label, he shrewdly made a virtue of shooting on the streets and shady areas of Chicago, lending the film an added authenticity, whilst the use of video footage – Henry films and re-watches his murders – gives it an unsettling voyeuristic feel. In some ways, the film was a hybrid of Michael Powell’s Peeping Tom and Martin Scorsese’s Taxi Driver, both haunting portraits of isolated loners in a hostile, urban environment. Although Michael Rooker has gone on to have a decent career – mostly in supporting roles – he has never really bettered his methodical and relentless performance as Henry. He cuts a much scarier figure than a later movie serial killer like Hannibal Lecter, who in the shape of Anthony Hopkins eventually became a kind of stylised anti-hero. The connection with Thomas Harris’ creation is an interesting one because his 1981 novel Red Dragon was adapted by director Michael Mann into the film Manhunter at around the same time as Henry: Portrait of a Serial Killer. By the mid-1980s the notion of the serial killer was forming in the American psyche and Harris’ novel was influential on the films, which – coincidentally – both shot in 1985. Whilst the two directors opted for different stylistic approaches, they share a certain realism in how they depict a serial killer and helped lay the groundwork for the pop culture interest in them in the late 1980s and early 1990s. Both took an interesting approach to the genuine horror of serial murder – by taking two killers and stripping them of any supernatural trappings and placing them in the real world make them more believably creepy. There are strange parallels between the two films: Mann’s adaptation was a stylish cop thriller which depicted a haunted FBI agent chasing a serial killer who works in a photo processing lab, whilst McNaughton’s is about the reality of the serial killers who film their exploits on videotape. The killers also have intriguing similarities: Dollarhyde (played by Tom Noonan) and Henry have an attraction to a kind woman; film their victims; and seem to represent a darker side of Regan’s America. Whilst Mann’s film was a commercial disappointment that became influential and rediscovered over time, McNaughton’s had its own lengthy battles with various ratings boards as it struggled to get a release both at the cinema and on home video. In fact the release struggle of Henry: Portrait of a Serial Killer is one of the most interesting case studies in film censorship of the last thirty years. After screening at the Chicago Film Festival in 1986, distributors were interested in buying it but were put off by the X rating that the MPAA gave it, which essentially means commercial death as advertisers and cinema chains would refuse to touch it. According to McNaughton, they were deeply troubled by the ‘general tone’, as well as certain scenes. It wasn’t until Errol Morris caught a specially arranged midnight screening in New York that the film’s fortunes began to change, as he invited it to the 1989 Telluride Film Festival in Colorado, where the documentarian was serving as guest director. People in the industry saw it and its battles with the MPAA – who still refused to change the X rating to an R – now added to the buzz surrounding the film, with the producer boasting that the film was “too disturbing”. It what was a pioneering independent release strategy, the production company MPI opted to show the film unrated at cinemas around the US, taking the print around the country on a city-by-city basis. The film was and remains disturbing, precisely because it rejects conventional movie violence: people are killed in a variety of ways but interestingly the censors often had a problem with the corpses we see after they have been killed off-screen. This was the case with the British censors the BBFC, who had multiple issues with the film. Whilst they seemed to acknowledge the film was not just a gratuitous of seeing a dark but thoughtful film they baulked at some scenes – especially one scene set inside a domestic home – before it was allowed a cinema release in April 1991. 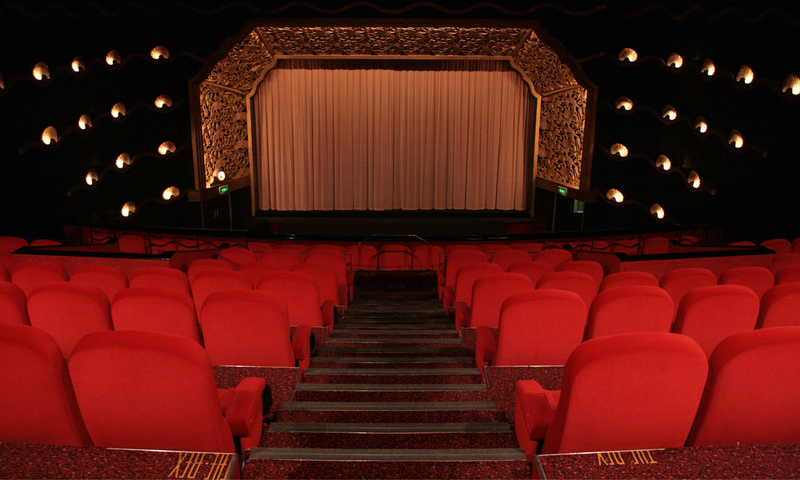 For the home video release other cuts were made, with BBFC director James Ferman particularly objecting to one scene involving the watching of a murder on television, which was ironic as it destroyed the serious point it was making. In the last decade the film has still had issues on its UK release in various home formats until 2003 when Optimum Releasing (now StudioCanal) finally secured a fully uncut version for classification for home video release. The late 1990s had seen a more open minded attitude at the BBFC with ‘problem films’ such as The Exorcist being cleared for release in the home but the struggle to get Henry: Portrait of a Serial Killer release perhaps hints at the genuine power of the film as well as the outdated thinking of our censors. In particular, the most notorious sequence plays around with the very notion of watching a murder, as the audience observe killers reliving their deeds via a television set. Dreadfully unsettling it may be – especially when watched in a home – but it is part of the overall construct of the film. In fact, you could argue that it is the very essence of the film. It is doubly ironic that censors treated the film as though it actually was the blood-drenched slasher the producers originally envisioned – not only did the repeated cuts help boost its profile, but McNaughton’s laudable artistic aims helped the film find favour with critics and discerning audiences. Originally shot on 16mm, the transfer is surprisingly good, which is perhaps a testament to the durability of the format and the care with which the original film was shot. Filmed in and around Chicago, often without official permission, the film has a suitably raw and grimy vibe which probably wouldn’t have been achieved if they had opted for a more ‘professional’ approach. Eagle-eyed viewers might note that a key sequence is filmed in the same road – Wacker Drive – that Christopher Nolan would memorably use in The Dark Knight over twenty years later. The extras on the disc feature some which were on the 2003 Optimum disc, but are boosted by a lengthy making of documentary and the 20/20 programme that originally gave McNaughton the idea for the film. Portrait: The Making of Henry: Portrait of a Serial Killer: Very comprehensive making-of-documentary which explores the history of the production. The Serial Killers: Henry Lee Lucas: TV documentary about the real life inspiration for Henry. Interview with Director John McNaughton: Lengthy interview with McNaughton about his career and the creation of the film. John McNaughton in conversation with Nigel Floyd: Another lengthy interview, with greater focus on the censorship problems the film faced, especially in the UK with the BBFC. Censorship History: Interactive timeline of the films troubled history with ratings boards. Deleted Scenes and Outtakes with commentary by John McNaughton: Nigel Floyd and McNaughton discuss the scenes which caused particular problems with censors.